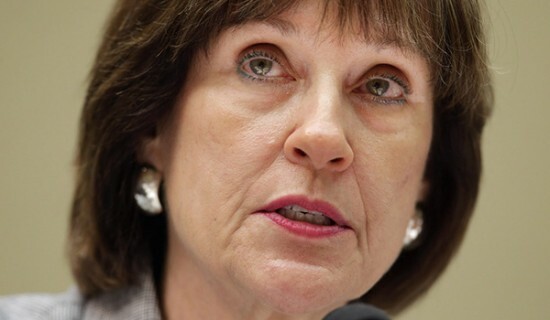 The House next month plans to vote to hold former IRS official Lois Lerner in contempt for her refusal to testify before Congress about the targeting of Tea Party groups, Majority Leader Eric Cantor (R-Va.) told his colleagues in a memo Friday. The vote on Lerner, who led the agency’s tax-exempt division, follows a party-line contempt referral by the Oversight and Government Reform Committee, which has tried for nearly a year to get Lerner to answer questions on the grounds that she waived her Fifth Amendment right against self-incrimination. Lerner defended herself in an opening statement at a hearing last year but took the Fifth to avoid answering follow-up questions from lawmakers, and Cantor said the House would hold the contempt vote unless she changed her mind. In the same memo, Cantor outlined a busy month on the floor that will also include House action to combat human trafficking, overhaul federal charter school programs, support veterans and approve the annual National Defense Authorization Act. The House will begin work on 2015 appropriations bills, Cantor said.